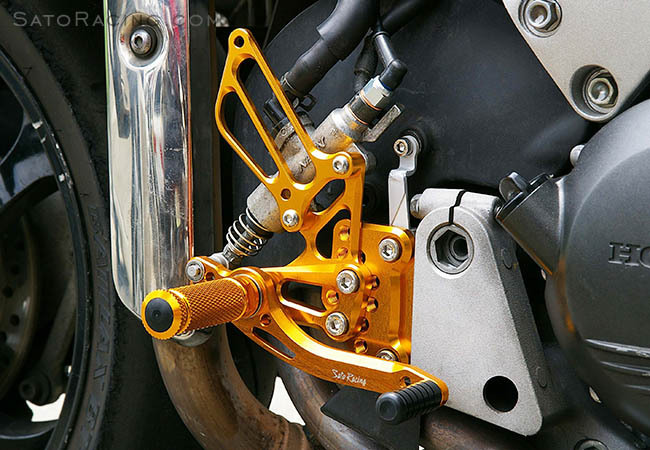 SATO RACING Rear Sets for 2002-'12 VFR800/ Interceptor are made from high grade billet aluminum anodized in your choice of a Black, Silver, or Gold finish. 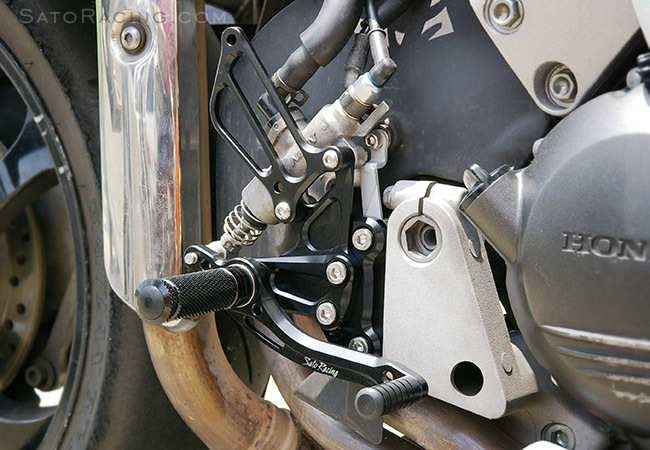 The shift and brake pedals feature double stainless bearings for smoothest shift action. Deeply knurled footpegs provide optimal grip even in wet conditions. Select from 6 adjustable positions. Choose between our standard Rear Sets that come with a stock shift pattern, or dedicated Reverse Shift Rear Sets that provide a GP-style reverse shifting pattern. Both types are compatible with both ABS and non-ABS VFR800/ Interceptor models. 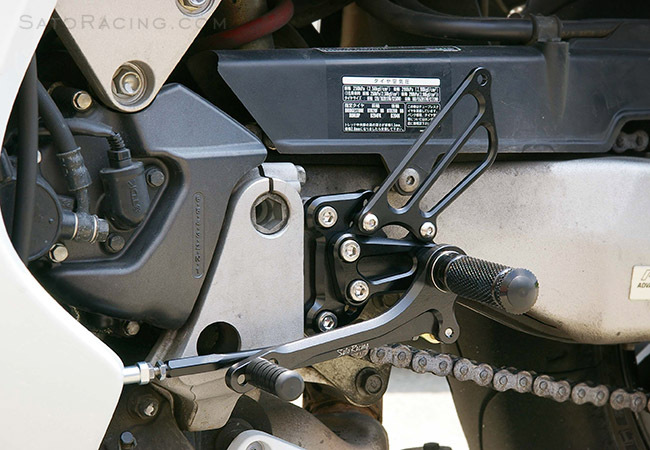 Foot Pegs feature a finely knurled pattern for superior grip. different shift pedal and a few other hardware differences that enable a GP-style shifting pattern. 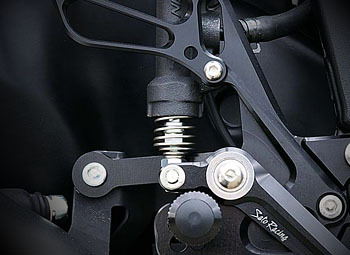 SATO RACING Brake Return Spring quickens the pedal return and may make the pedal feel stiffer and more responsive compared to no spring. (For use with specified SATO RACING Rear Sets). 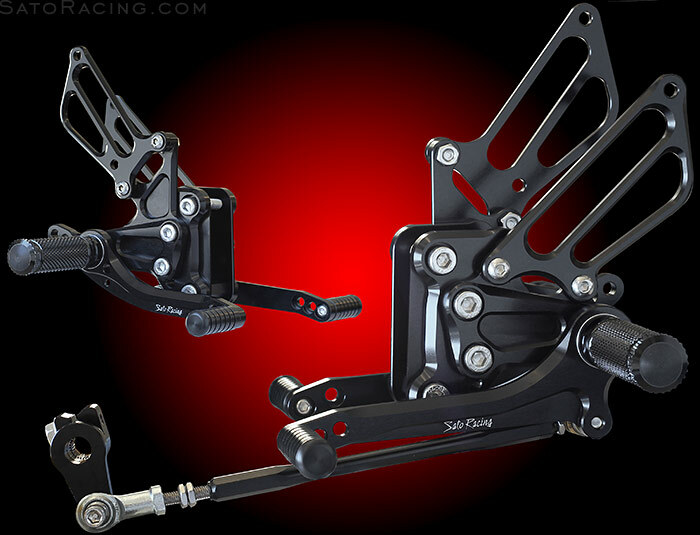 Rear Sets (Standard version) | Reverse Shift Rear Sets.